I have never been to a mat Pilates class before. Where do I start? We offer mat Pilates classes at all triyoga locations. Level 1 classes are suitable for complete beginners. I have never been to an equipment Pilates session before. Where do I start? Equipment Pilates sessions take place in our studio in Camden. Whether you are a complete beginner or an experienced practitioner, we ask everyone who is new to our equipment studio to start with a private starter assessment. Call Camden on 020 7483 3344, or pay us a visit to book your session. The starter assessment includes a postural assessment. Afterwards your instructor will be able to advise on a Pilates programme to suit your needs and goals. Can I go to a mat Pilates class or equipment Pilates class if I’m pregnant? Yoga and Pilates are excellent during pregnancy and for you and baby after the birth. However it is recommended that you do not practice yoga or Pilates in your first trimester. You can return to practice in your second and third trimesters, where yoga and Pilates are both fantastic supports. Find out more about our pre and post natal classes and treatments. Is anyone too old for Pilates? The wonderful thing about Pilates, is that you can never be ‘too old’ to start or practice. Yoga and Pilates are practices for life, and they can be modified to suit all ages, and levels of strength and fitness. Because Pilates is low impact, it is a safe way to build strength, flexibility and endurance without putting the body under strain. If you’re new to mat Pilates the best way to start is with a level 1 class. If you’re new to equipment Pilates and the equipment studio at Camden, it is recommended everyone starts with a private starter assessment, which you can read more about here. How flexible do I need to be for Pilates? If you’re inflexible you’re a perfect candidate for Pilates. Pilates enhances flexibility; it’s not a prerequisite. So if like many of us, you’ve got tight shoulders, hamstrings, hips, quads…both mat Pilates and/or equipment Pilates will really help. If you are at the other end of spectrum and very flexible, Pilates is a great way to balance the body’s strength against over flexibility. Can I cancel my Pilates equipment booking? Yes – we have a 24 hour cancellation policy. To reschedule please call us on 020 7483 3344. Unfortunately if the cancellation is less than 24 hours in advance, we must take payment as the teacher’s time has been booked. Read the triyoga terms and conditions. What are the pricing options for mat Pilates? From drop-ins and class passes, to unlimited options, there are a number of pricing options for mat Pilates at triyoga. Find all you need to know about our prices here. What are the pricing options for equipment Pilates? Everyone new to equipment Pilates or Gyrotonic at triyoga must participate in a one-on-one starter assessment which can be booked over the phone and costs £45. After you have completed your starter assessment you can take advantage of our equipment studio starter pack which consists of 3 x one-on-one sessions for £145 (saving £50). From there you can either buy single sessions, or save money by buying packs of sessions (5, 10 or 20). You can choose from private (one-on-one), semi-private (max 2 people) or small group (max 4 people) sessions. Different sized sessions vary in price (small group sessions being the cheapest), but all allow for a high level of individual attention from one of our experienced instructors. 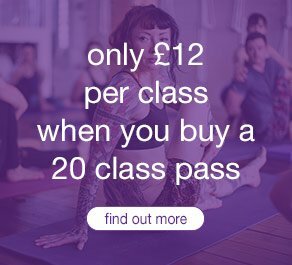 All session passes have a 12 month expiry date from purchase, except 5 classes which is 6 months.